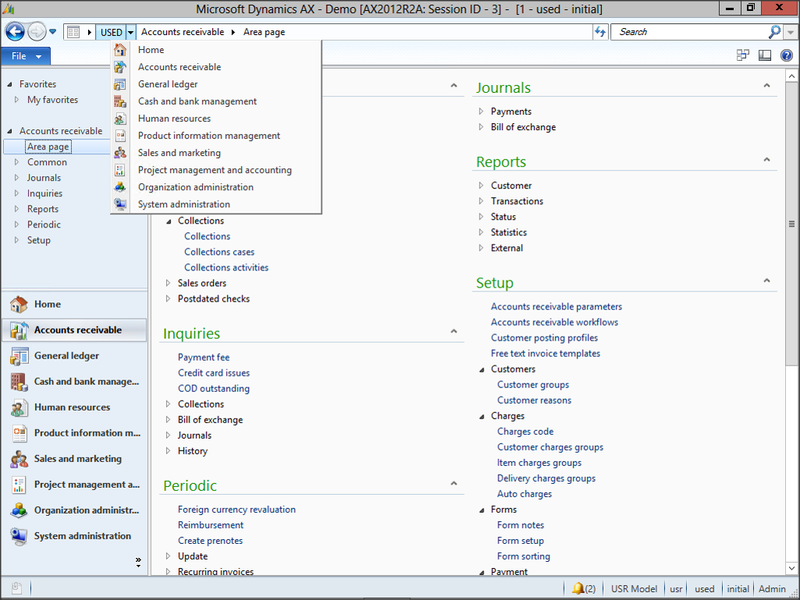 The good thing about Dynamics AX is that you get all the available modules automatically. 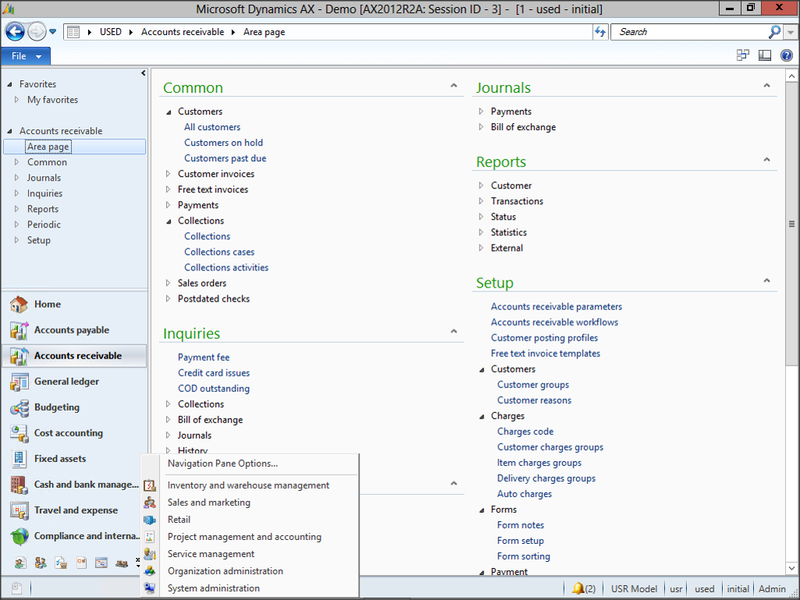 The downside is that you get all the available modules automatically. You may not want to see the General Ledger, or Accounts Payable modules, all you may be interested in may just be the Distribution modules. You can quickly make your life a little less cluttered just by editing your Navigation Pad and hiding all of the modules that you don’t need. You can still get to the functionality, just you don’t need to wade through the other modules when trying to get to the menu items that you use every day. 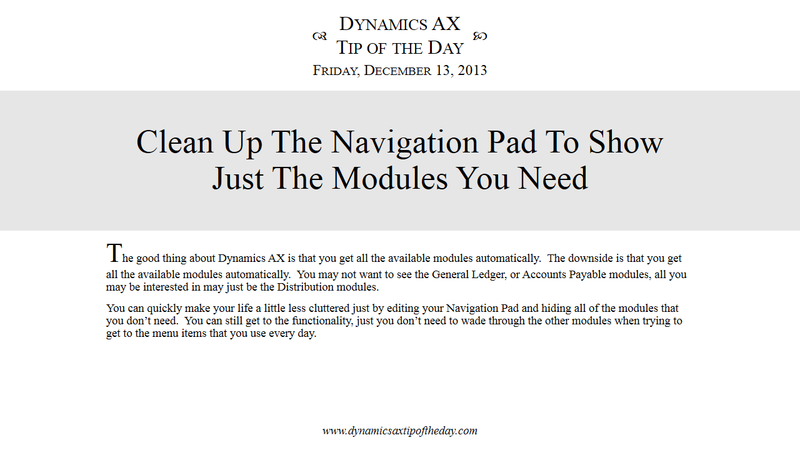 Click on the >> button at the bottom right of the Navigation Pad to see all of the additional modules, and then click on the Navigation Pane Options menu item. 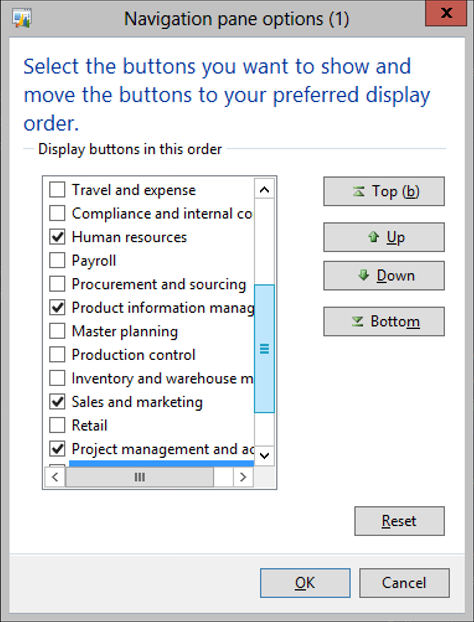 When the Navigation Pane Options window is displayed, you will see all of the modules that you have access to, and to remove them from the navigation pane, you just need to uncheck them. When you have finished doing that, click on the OK button. 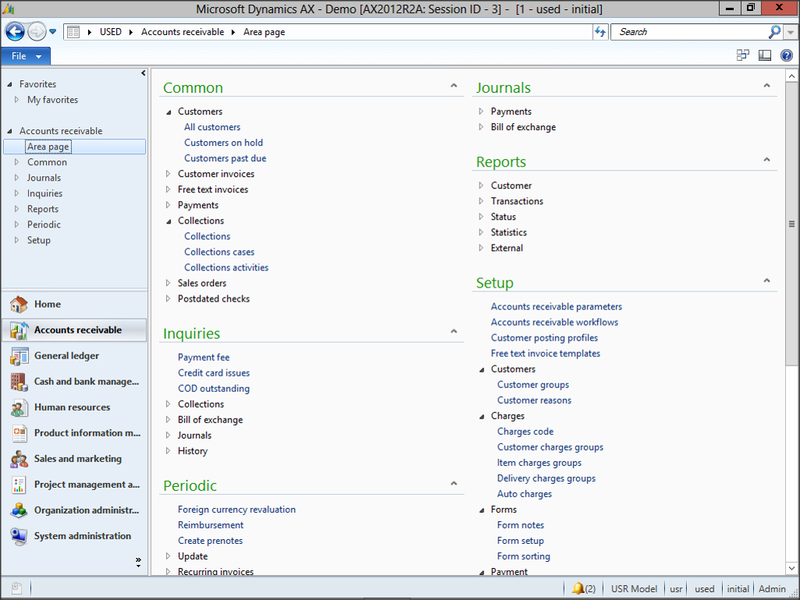 Now your Navigation Pane will look a lot tidier and you will have quick access to just the menu items that you are interested in. Also, this applies to the dropdown from the breadcrumb bar.